During our Summer Forgiveness course, teacher Iylana Vanzant asked the question, “If you saw someone walking down the street bandaged from head to toe, how would you treat that person?” She then asked us to consider how living with pain and unforgiveness can render us helpless, as if we are moving through life in a full body bandage. In week 5 of our course, we explored John 11 where Jesus is summoned to the tomb of Lazarus, who has been dead for 3 days. 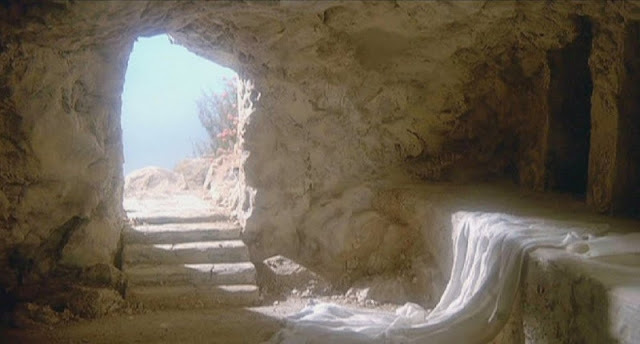 Jesus calls Lazarus out from the grave saying, “Lazarus, come out!” After he performs the miracle of resurrecting him from the dead, Jesus then commands him to “take off the grave clothes” so that he might truly live. Although Jesus has the power to set us free, we, like Lazarus, must take off our “grave clothes”– our past hurts, present pain and future worries. When we free ourselves from those things which hinder us, only then are we free to live the life God purposed for us. Thanks for sharing this video Kathy. Much needed reminder. James 3:17-18 17: But the wisdom from above is first pure, then peaceable, gentle, open to reason, full of mercy and good fruits, impartial and sincere. 18: And a harvest of righteousness is sown in peace by those who make peace.